Train sets are the perfect start to a lifetime of fun and learning for the whole family or for a beginning adult hobbyist! And finding the right set is fast and easy. The questions on this page will help you find the set that’s right for you. Q. What is the best scale for beginners? A. The best advice here is “the younger the railroader, the larger the train.” While any electric train set requires adult supervision, sets in O or G scales are easier for little hands to manage. The trains are big, colorful, and just plain fun. The larger scales are also great for an adult beginner who wants a train that’s a little easier to see and to get on the track. For a beginner who wants to make the most of the space available and can handle a train that’s a little smaller, HO and N scales are the most popular choices. These sets combine great value for the dollar with a very realistic appearance and a compact size. Plus, HO and N scales have the largest selection of accessories, including structures and vehicles. Q. Isn’t model railroading an expensive hobby? Q. I’ve never had an electric train. Is it tricky to set up an electric train set? A. Most new sets feature snap together track, and many have color-coded wiring that simply plugs in. 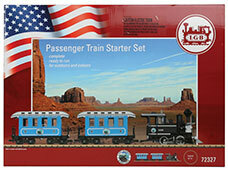 Many Walthers sets include a DVD that shows not only how to wire the set, but every step of building your first layout. Q: Where can I learn more about how to build my first layout? Train sets come in many different sizes, called scales. 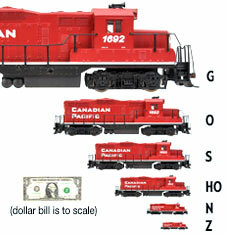 To the left is a picture, comparing the most common scales of trains. Choose the scale that is perfect for you based on the experience of the modeler and how much space there is for the train to run. 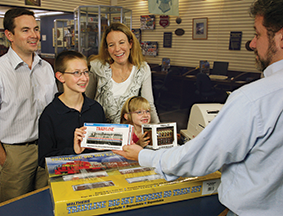 Visit Getting Started in Model Railroading to learn more about scales. Already Have a Train Set? 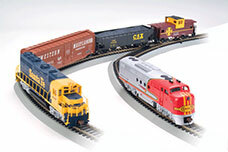 Visit Getting Started in Model Railroading to learn how to turn your set into a layout!